ASOS has more than 80,000 products on the site at any one time, meaning you can name any trend and this is where you'll find it there. Despite the sheer volume of items on offer, there are still several trends that you'll notice every time you click "next page" on an ASOS hunt. We spoke to the brand's head of design for womenswear to discover which are the trends her team are buying in the thousands this year. ASOS has become so synonymous with this year's neon trend that you could say "ASOS green" or "ASOS orange" to its many frequent shoppers and they'd know exactly what you're talking about. You can find everything from fluoro to slip skirts to evening gowns in this glow-in-the-dark fluoro. Speaking of colours, vibrant suits are also a key push for ASOS this summer with short and trouser versions. For a more muted look, the e-tailer is also really backing this season's tonal styling and have hundreds of pieces in taupes and khakis on offer. These looks are already taking over our Instagram feeds, so they're bound to be popular from Miami and Glastonbury to Ibiza and London Fields this summer. Keep scrolling to see the four ASOS trends that we love the most this year. Style Notes: Nicole's 'citrus pop' suit is already a best seller this year— and is a fun alternative for weddings. Style Notes: Lotte wears the green cord suit with a T-shirt and chunky trainers for the weekend. 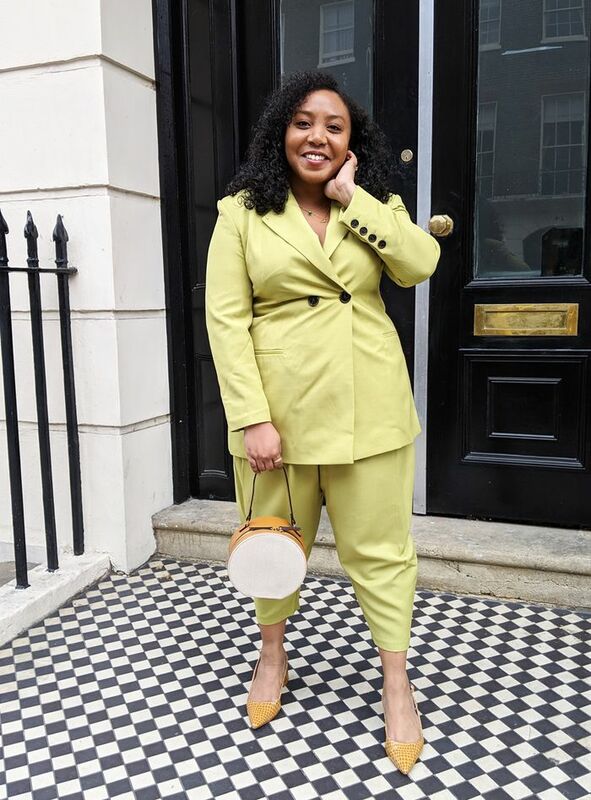 Style Notes: ASOS designer Sara wears two of the key trends at once, pairing her Clueless checked suit with a neon green handbag. Style Notes: ASOS Pr Cassandra wears the now sold-out Stabilo green evening gown. Style Notes: Lotte wears neon head-to-toe, wearing this matching set from Bershka. Style Notes: Cassandra and stylist Nana Acheampong show that you can wear neon for more formal occasions in their floor-sweeping ASOS dresses. "Neon colour spectrums are the key palette of the season," says Imoru. "We have really backed neon across clothing footwear and accessories and seen great reactions to our sellout Neon Satin Skirt and Maxi Dress." Style Notes: This boxy zebra shirt is a perfect beach cover up. Style Notes: Who What Wear's Emma Spedding wearing the £45 button front maxi dress. Style Notes: ASOS has so many desert safari colours this season, including these green trousers and taupe top. "This trend is born out of the utility theme we saw so heavily on the catwalks. We love this in a luxe glam way in formal fabrications, but it also works as casual day wear with sportswear influences. Multi pocketing, buckles and hardware trims are a key feature. The utility combat, safari shirt and blazer are must-haves for your summer wardrobe in khaki, stone and earthy tones," says Imoru. Style Notes: Who What Wear's social media editor Alyss Bowen wears this trending ASOS zebra dress. Style Notes: Astrid wears this PJ co-ord set out of the house with chunky black trainers. Style Notes: ASOS Olive wears the £45 trending zebra dress with white trainers. ASOS's homepage has been looking like a wild safari for months now, with everything you could possibly imagine having a leopard-print makeover. This summer the one print the high-street retailer is getting behind is zebra. In fact, the long-sleeved £45 dress above has been a particular success story.